Indian Institutes of Management (IIMs) announce their admission policy every year for flagship PGP programmes. The necessary changes are made in the admission criteria sometimes to improve the academic diversity in the class rooms and sometimes as per the laid down norms of the Government of India. There are 20 IIMs at present. The admission process and criteria in IIMs is independent from one another. There is no role of another IIM in formulating the admission policy of one IIM unless it is a new IIM and under the mentorship of another IIM. Candidate must possess a bachelor’s degree with minimum 3 years of duration and 50% marks from a recognized University/college/institute. Those who are in the final year of their bachelor degree can also apply. It is mandatory for the applicants to appear in CAT for admission to IIMs. Those who want to pursue management course PGP 2017-19 programmefrom an IIM, must appear in Common Admission Test (CAT) 2016. The registration for CAT opens in the first week of August and is an online process. Applicants have to fill in the names of IIMs and the preferred courses where they want to be considered for admission. This has to be done during the process of registration. Unless the options are not exercised in the registration form, the candidates will not be considered by those IIMs which have not be opted for admission. On the basis of CAT 2016 exam scores candidates are shortlisted for next admission round by individual IIMs. While comparatively new IIMs declare the 1st stage shortlists on the basis of CAT scores, older IIMs also take into account the other parameters at the 1st stage shortlist. *IIM Kozhikode awards maximum 5 point weightage which includes both academic & gender diversity. No separate weightage to each factor is awarded. All the shortlisted candidates shall have to appear in the Written Ability Test (WAT) followed by Personal Interview (PI). On the basis of their performance in PI round, weightage awarded to CAT scores, academic profile & diversity, work experience and gender diversity, final merit list will be generated and admission offers will be made. 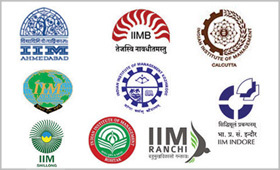 The WAT and PI round for IIM Kashipur, Raipur, Ranchi, Rohtak, Trichy and Udaipur is coordinated by one these IIMs. For 2016 admission IIM Kashipur coordinated the CAP. For 2016 CAP also included IIM Amritsar, BodhGaya and Sambalpur. So instead of 6 IIMs there were 9 IIMs who participated in Common Admission Process (CAP) 2016. The newest IIMs like IIM Nagpur, IIM Sirmaur, IIM Jammu did not/do not propose to conduct GD/PI for final admission. The admission offers are generated on the basis of merit lists prepared on the basis of CAT scores, Academic profile, Work experience and gender diversity in accordance with the weightage awarded to each of these factors.